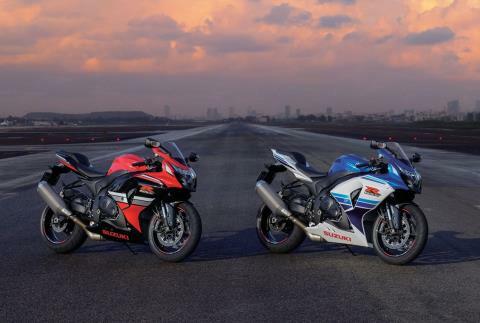 When introduced 30 years ago, the GSX-R750 rocked the world with performance and a design that redefined sport motorcycles. Suzuki celebrates this sea of change by unveiling a pair of Limited Edition GSX-R1000 models that pay tribute to the original GSX-Rs. 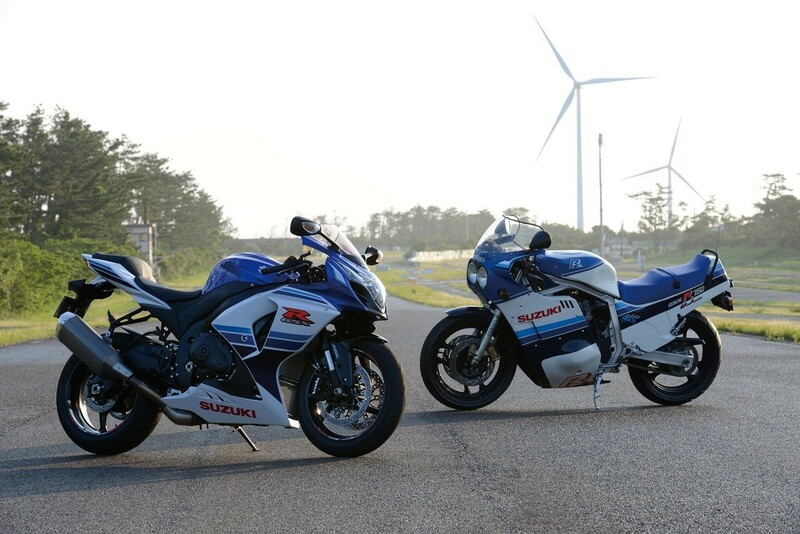 The 1985 GSX-R750 wore classic blue-on-white stripes that came to signify Suzuki racing worldwide for the last three decades. 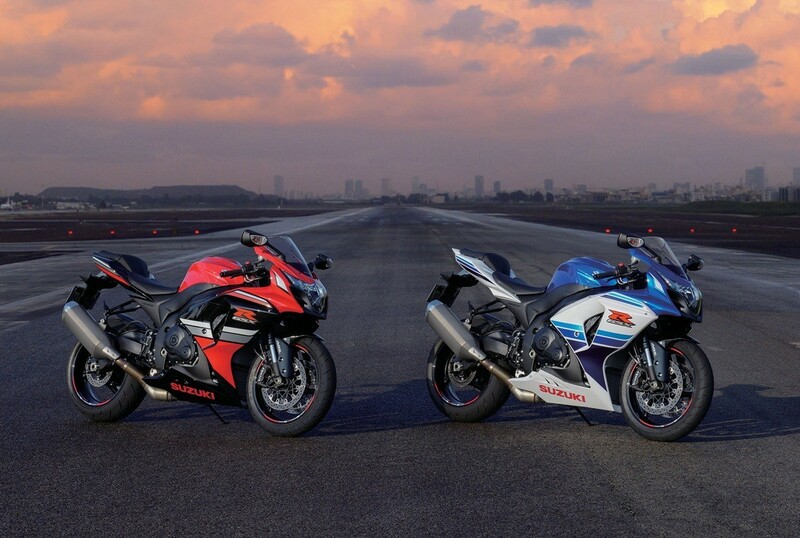 The new 2016 Blue-White Limited Edition GSX-R1000 continues this classic Suzuki racing heritage motif. Notably, the Suzuki Ecstar MotoGP team recently added this historical livery to a special version GSX-RR. 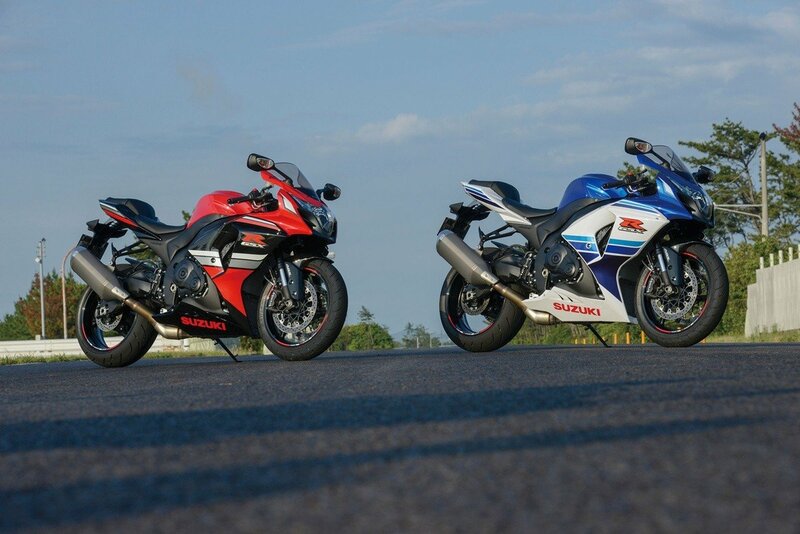 In 1986, a red-and-black GSX-R750 arrived to pay homage to the race bikes piloted by the Yoshimura Suzuki riders who competed at the Suzuka 8 Hour endurance races in the 1980s. Suzuki’s new 2016 Red-Black Limited Edition GSX-R1000 commemorates that landmark GSX-R, as well as the Yoshimura Suzuki GSX-R raced in 1986 by former Grand Prix World Champion Kevin Schwantz. This red-and-black livery made its AMA Superbike debut on the GSX-R1000 at the Indianapolis Motor Speedway under Yoshimura Suzuki rider Roger Hayden. 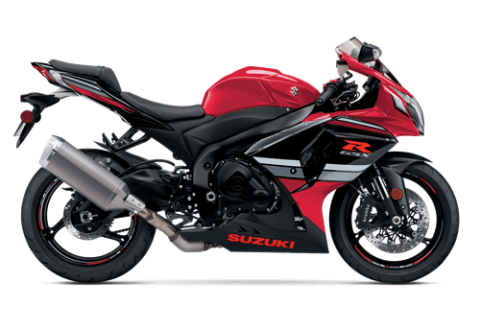 Each Limited Edition GSX-R1000 carries an exclusive “30 Years of Performance” badge atop its gas tank, plus special wheel striping to signify its limited production status. Instruments include a silver-ringed analog tachometer with LCD speedometer. LCD readouts include odometer, dual trip meter, reserve trip meter, clock, coolant temperature/oil pressure warning indicator, gear position indicator, lap timer/stopwatch, S-DMS setting indicator and bar-graph indicating the instrument lighting level, or brightness. 3-way adjustable footpegs, adjustable shift lever and short fuel tank help compose a comfortable riding position. Electronically controlled steering damper contributes to handling stability and a more alert and agile feel by increasing the damping force at higher speeds and reducing it at lower speeds. The front disc brakes are equipped with the top-of-the–line radial-mount Brembo monobloc calipers along with a single-piston caliper rear brake. The front and rear tires tread patterns and lighter weight contribute to lower unsprung weight and sharper handling. A 999cc four-cylinder powerplant, with Bore x Stroke of 74.5mm x 57.3mm brings enhanced throttle response across the entire rpm range and high potential for racetrack performance. Optimally shaped combustion chambers and a compression ratio of 12.9:1 promote low-range and mid-range performance and help realize a broad torque curve. 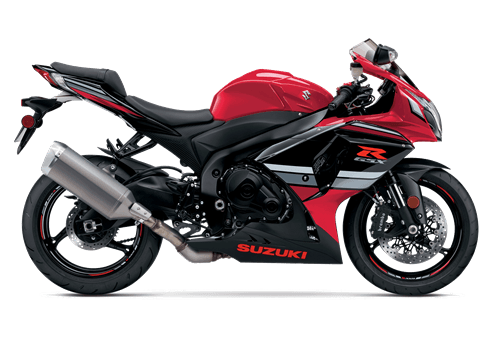 The 4-2-1 exhaust system, carries a Suzuki Exhaust Tuning (SET) valve maximizing torque and improving throttle response, especially in the low-to-mid rpm range. 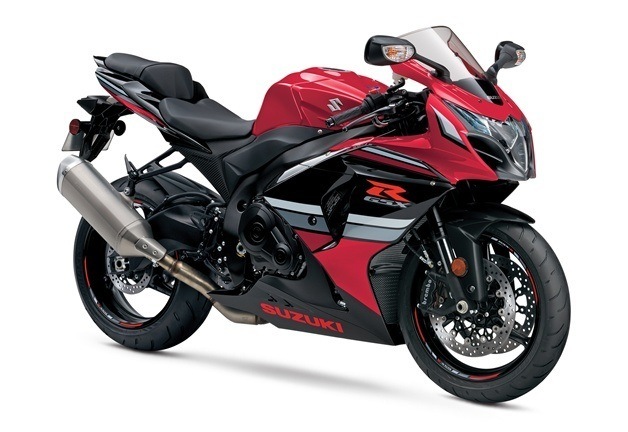 Large, efficient radiator with a trapezoidal shape developed on factory team racebikes and a trapezoidal engine oil cooler both help reduce drag. Suzuki Composite Electrochemical Material (SCEM)-plated cylinders integrated into the upper crankcase reduce friction and improve heat transfer, durability and ring seal. An Engine Control Module (ECM) provides state-of-the-art engine management and has optimized settings to suit the single muffler, resulting in better fuel economy and linear throttle response. Lightweight, fully adjustable 43mm Showa Big Piston Front forks (BPF) with an endurance-race-proven design deliver superb feedback and responsive, stable operation, and are lightweight. Rear shock absorber features adjustable rebound damping, spring preload, and both high-speed and low-speed compression damping allowing adjustability for a wide range of conditions.